Today marks the first time that the only two New Jersey schools in FCS will meet on the gridiron. Monmouth comes into tonight’s game with Princeton looking to string together three straight wins after coming from behind to defeat Lafayette last time out 24-20. Monmouth, who made the FCS Playoffs last season, are led by head coach Kevin Callahan, who is in his 26th season at Monmouth as the Hawks’ head coach. Callahan owns a 146-119 career coaching record, all with Monmouth. Coming into the season, Callahan’s 146 victories ranks him 10th among active coaches in the Football Championship Subdivision. Key Player: QB Kenji Bahar faced a surprising test against Lafayette, falling behind in the first half, but truly passed his test very well, guiding the Hawks to the win and amassing 334 yards passing and adding 47 more yards on the ground. Bahar should find the pace of play at Princeton to be to his liking – but can they keep up on the scoreboard? Fantasy Bonus Baby: WR Reggie White, Jr. is climbing up the Big South record board, and only needs three more receptions to be the fourth Big South receiver to get 200 receptions. Against Princeton’s defense it seems like a good spot for him to get that and more. 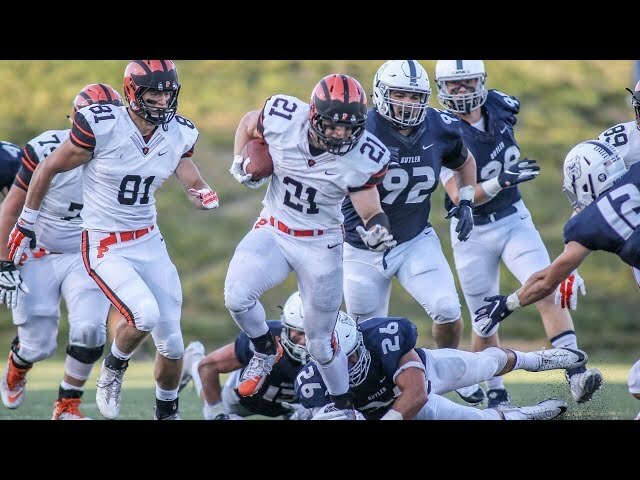 Princeton needed all of 26 seconds to score its first touchdown of the season and less than one game to reach the 50-point mark, and the Tigers did both on the road against a team that already posted a FCS Top-25 victory. The Tigers routed Butler 50-7 last weekend, their biggest opening-day win since the 1950 national championship season. It was 44-7 by halftime, and the reserves pitched a second-half shutout. Act II comes Saturday, and it features Princeton’s first in-state game since 1980. The Tigers have never played Monmouth, a 2017 NCAA playoff qualifier, and they would love nothing more than another victory before opening Ivy League play next Friday night at Columbia in a game televised live on ESPNU. The game will highlight the annual Community & Staff Day at Princeton, which will include a Youth Clinic on Weaver Track and several other family-friendly activities. 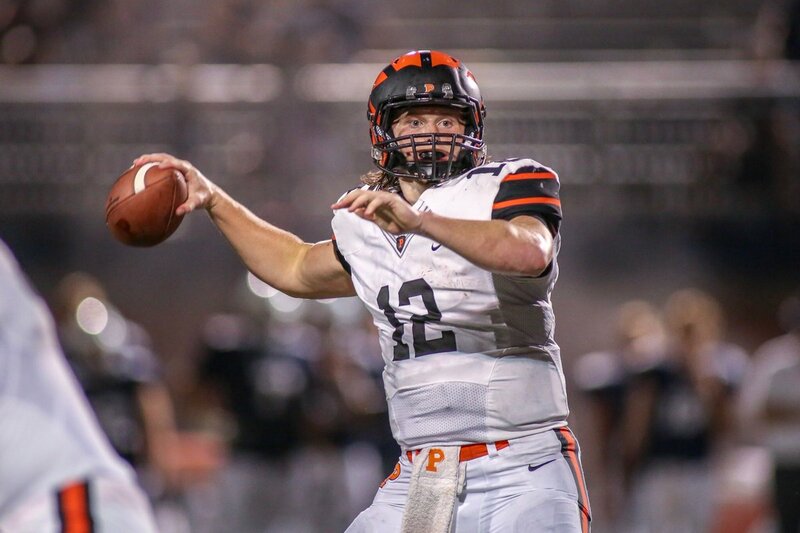 Key Player: QB John Lovett is finally the full-time signalcaller for the Tigers, and he responded last Saturday with a monster first half, scoring 2 touchdown passes and adding two with his feet. Look for him to play all four quarters in a tougher test against Monmouth, but also look for a potentially great offensive performance, too. Fantasy Bonus Baby: WR Jesper Horsted was the recipient of Lovett’s two touchdown passes, notching 7 catches for 140 yards and both scores. Will Horsted continue to be the main workhorse in the passing game? With no other Princeton receiver last week getting more than 2 catches, it seems likely.